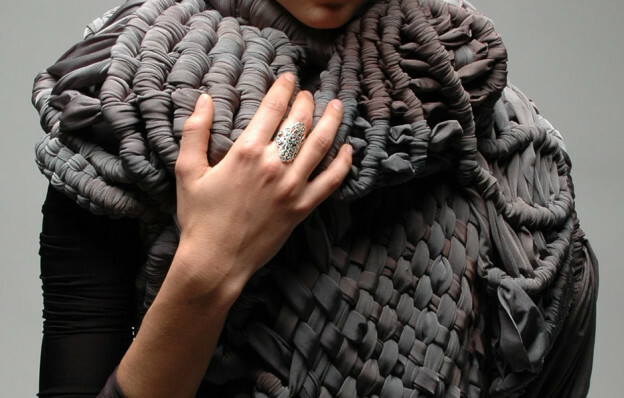 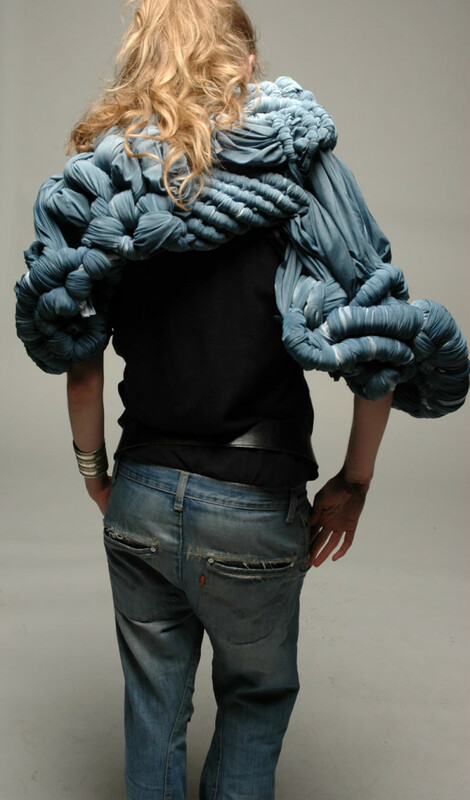 Emily Hiller is a textile designer who lives in London and specializes in macrame work with non-traditional materials, such as ropes and recycled fabrics. 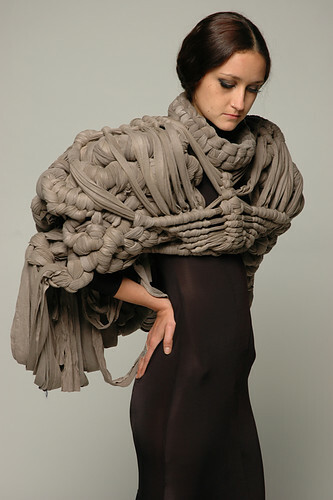 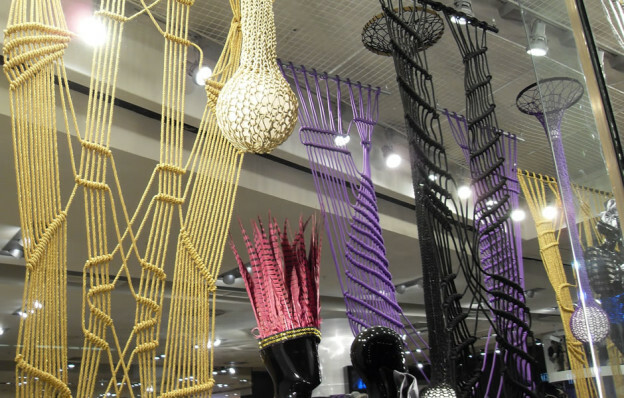 This artist is the author of these models of art in shopwindows and a line of clothes called “sculptural clothing”, made in macrame with textile surpluses of original and modern design. 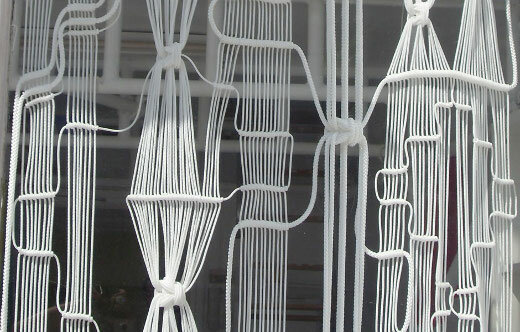 This entry was posted in Art with recycled fabric and tagged clothes with recycled fabrics, Emily Hiller, macrame clothes, shop window decoration, surplus fashion art, textile shop windows on February 20, 2019 by Sue.